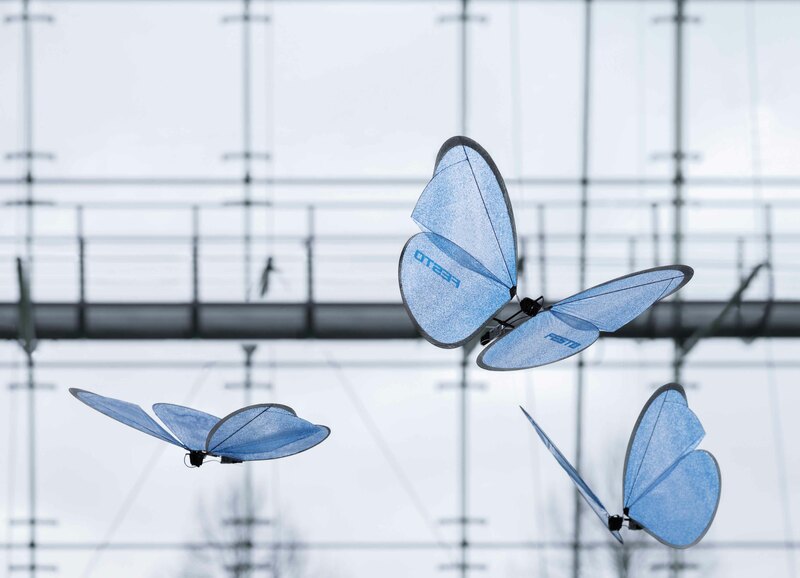 Festo, the supplier of automation technology, has announced three new additions to its inspired by nature range; BionicANTS, eMotionButterflies and the FlexShapeGripper. The latest creations from Festo’s Bionic Learning Network play towards the philosophy of Industry 4.0. 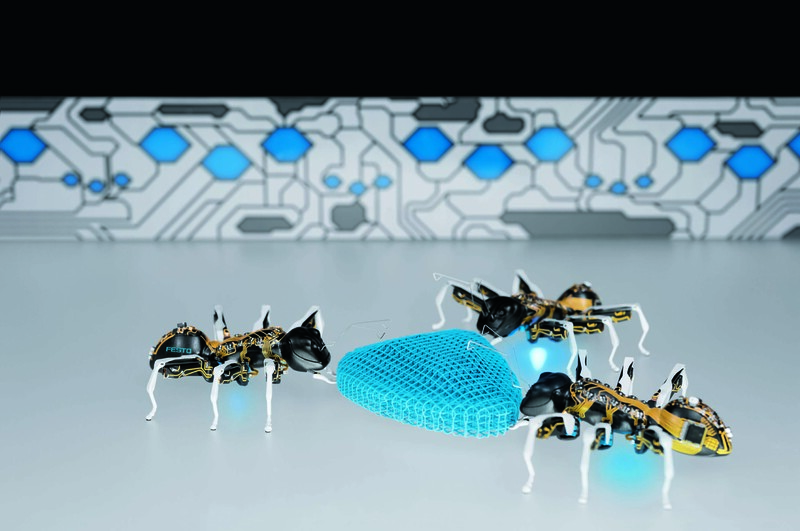 "Like their natural role models, the BionicANTs work together under clear rules," explains Dr-Ing Heinrich Frontzek, Head of Corporate Communication and Future Concepts at Festo. "They communicate with each other and co-ordinate both their actions and movements. Each ant makes its decisions autonomously, but in doing so is always secondary to the common objective and thereby plays its part towards solving the complex task at hand." The co-operative behaviour of ants provides interesting approaches for the factory of tomorrow. Future production systems will be founded on intelligent components, which adapt flexibly to different production scenarios and thus take on tasks from a higher control level. Gripping applications have always played a key role in production. 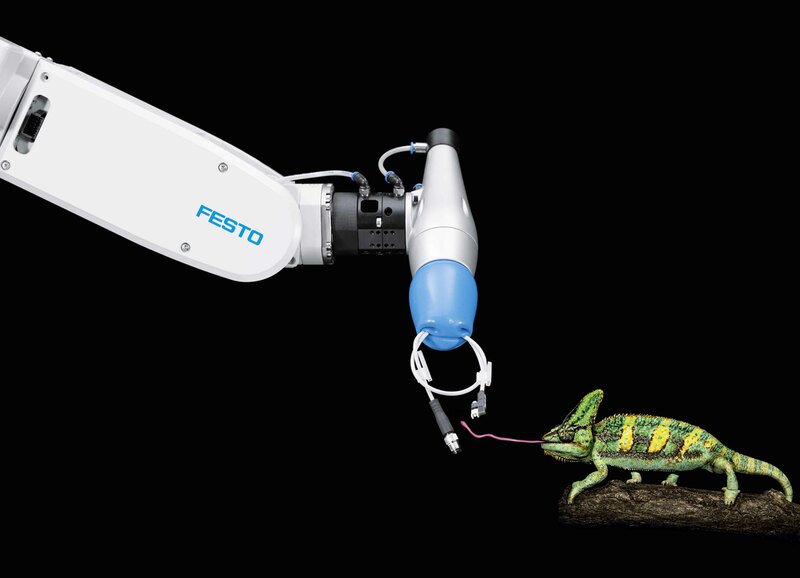 In co-operation with University of Oslo, Festo is now presenting a gripper whose working principle is derived from the tongue of a chameleon. The FlexShapeGripper can pick up, gather and put down several objects with the widest range of shapes in one procedure, without the need for manual conversion. The ability to adapt to many different shapes is made possible by its water-filled silicone cap, which wraps itself around any item being picked up in a flexible and form-fitting manner. Co-ordination between the individual flying objects is possible due to a well-networked external guidance and monitoring system. The communication and sensor technology used, which creates an indoor GPS system, enables the butterflies to display collective behaviour without any danger of collision.